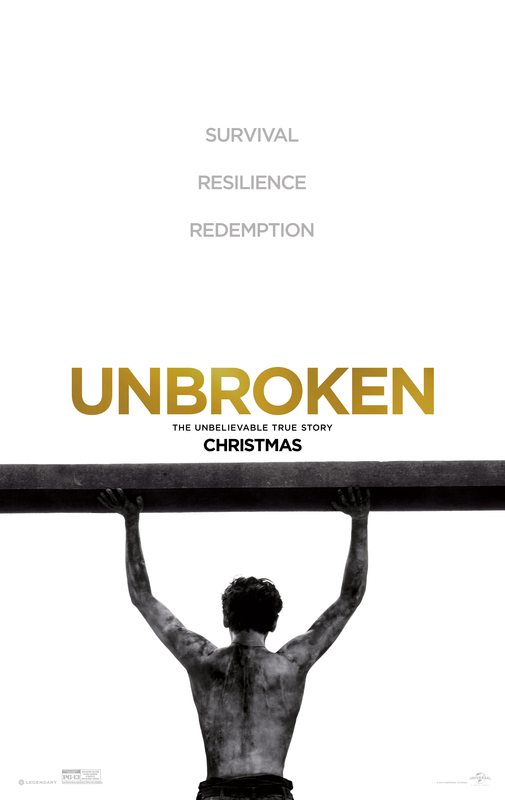 Brief Synopsis – True story of an Olympic Athlete captured in the Pacific theater during WWII and the hardships he endured in order to survive as a POW. My Take on it – When I saw the trailer for this movie back in the summer, I was sure that this would be the Oscar Best Picture winner. It is a story of faith in a desperate situation. It is based on true events. It’s a story of hope that is reminiscent of previous Oscar fare. Unfortunately, the trailer is superb, but the movie doesn’t live up to all expectations. The story itself is good, but at certain points just moved too slowly giving off a non-satisfying feeling. During those drawn out scenes, it is slightly too easy to be distracted and have your mind wander a bit -instead of fully appreciating what is going on onscreen. This movie has some excellent moments that are reminiscent of some of the great WWII movies like Bridge on the River Kwai (1957) , Empire of the Sun (1987) and Olympic track sports like in Chariots of Fire (1981). Jack O’Connell is great in the title role and definitely helped give off the feeling of hope when faced with dire circumstances. This movie has a great song at the end by Coldplay called Miracles. Bottom Line – Great story that is reminiscent of some of the great movies about POW camps during WWII, but ultimately only barely manages to keep interest throughout it’s running time. Recommended! When it got to the prison camp part I lost some interest but still a decent film. Nice review! Thanks Eddie. Agree with you on that! What’s the award for a 5? Nice review, Rob. Another flick that I may never get around to. Looks like they followed the melodramatic playbook of the historical biopic. I heard the score is really amazing though. It seems like this movie has disappointed a lot of people, but the trailer looks amazing! Were you surprised by its dearth of Oscar noms? It was nominated for sound editing, no? Oh man. You liked this way better than I did. Hahaha. War movies aren’t my thing, but this was just way too heavy and slow for me. Plus, I felt that the Japanese officers were villainized to an absurd degree. And they time spent on the ocean…UGH. Felt like I spent a lifetime on that damn raft. Nonetheless, nice work here, Rob! It’s been a while since I’ve seen Bridge on the River Kwai, but I guess I don’t remember it bothering me as much. Even beyond the boat scenes, this one was just not my thing.